Bill Buxton, the Spirit of MIX09 (who, incidentally, now has a typeface named after him), was very welcome back for this morning’s keynote to introduce Deborah Adler, whose work as principal designer for Target’s ClearRx medicine bottles provided the focus for our discussion about design and its impact on user experience. Deborah’s research identified and addressed many serious problems with traditional medicine bottles. Her prototype was refined by Target into the ClearRx products, and the resulting “return on experience” includes brand awareness for Target — and, much more importantly, the potential to change behavior and save human lives. Her advice to us was twofold - to have a love affair with our customers, and to bring our design skills to bear both humanly and humanely. There is more information about Deborah’s work at the Target:Health site. 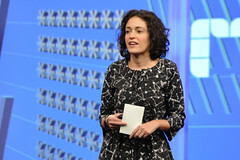 IE8: In other keynote news, Dean Hachamovitch announced that Internet Explorer 8 was released today. For more info: You can now watch streaming video of the keynotes (for both days) here, and Tim Sneath’s thorough Play-by-Play is here and here. So I expected today’s keynote was going to be about the Cloud. I was totally wrong. But it’s all good. 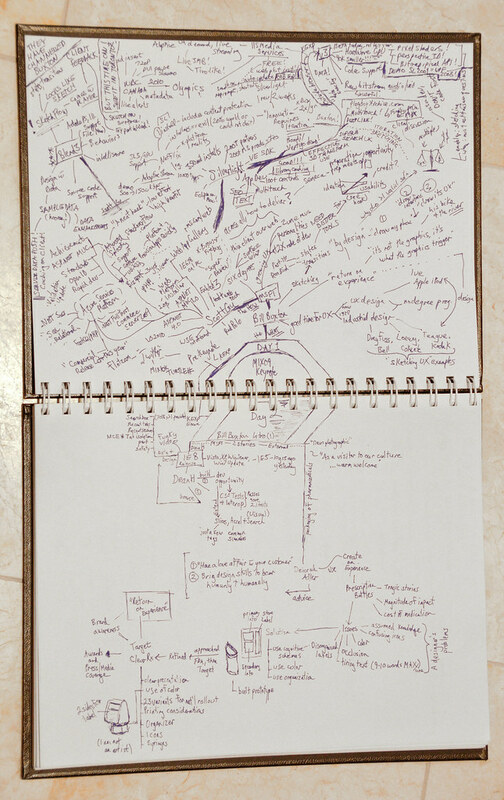 My Mind Map, with Day 2 on the bottom, now makes more sense: the “Return on Experience” discussion provides the roots for everything we’ve discussed at MIX09 this week. p.s. More Misc MIX notes on the rest of Day 2 in a future post — I am shattered tonight. Johnny Lee’s HCI talk was particularly memorable (link goes to his killer TED talk).